This time the spotlight will be shining on Vinyl, a game that supposedly lets you… play your own music (wait, what?). Hmm… either way, let’s see if we can’t help it escape the cold emptiness of Greenlight limbo, eh? We began development on Vinyl by asking the question: how does altering a player’s own music affect how they play a game? Vinyl is a new and playful take on the music game genre which seeks to bridge the gap between gameplay and audio. By creating the game’s world dynamically for every song, the visuals completely mirror the music. 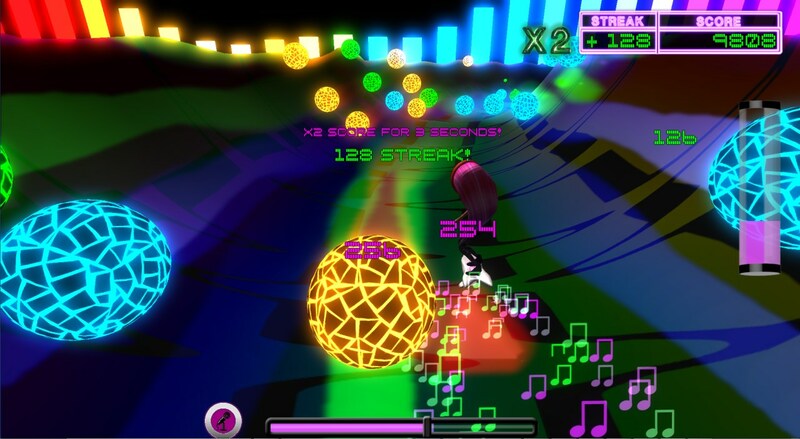 By directly manipulating the music based on the player’s performance, the music completely mirrors the gameplay. This uniquely ties audio, visuals, and gameplay in a previously unexplored way. All that, and not one mention of the fact that players will be surfing to their tunes, steering clear of colored balls in a completely trippy and colorful environment? Sheesh. What? No, I’m not kidding – that’s actually Vinyl in a nutshell (based on the trailer below, anyway). What makes it so interesting however, and the reason for it getting a Greenlight Limbo feature, is the way it all seems to come together: music generates the levels, filters modify your tunes, and in case your music collection ain’t enough, I’m sure the leaderboards will add plenty replayability for the high score chasers. As for the rest, myself included… chances are it’ll be more of a relaxing cruise while chilling to our favorite tunes. Did I mention those trippy, yet glorious, visuals? So riddle me this, dear reader: why is Vinyl still struggling to get through Greenlight? It’s readily available from Desura, and without a price tag too! So… why not visit its Greenlight page and hand over a ‘yes’, if you like what you see? Remember: your vote matters!